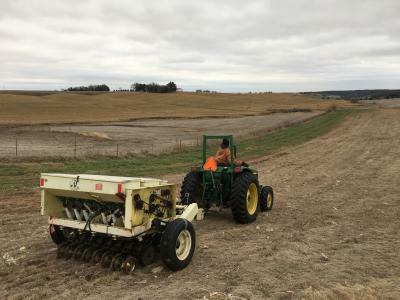 The forecast turned cold this week, so it was all hands on deck to finish planting more than forty monarch habitat research sites across Iowa. 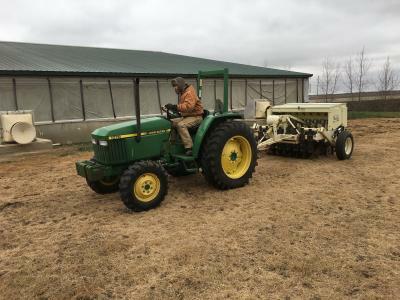 Our team's ag specialist, Seth Appelgate, carefully planned and implemented each step of the planting process, from cleaning and mixing the habitat seed to calibrating and repairing the conservation drill. One of the highlights was planting monarch habitat at Bill Dunbar's farm in Polk County. Bill has some previous experience with prairie plantings and he is keenly interested in our team's research and demonstration work. 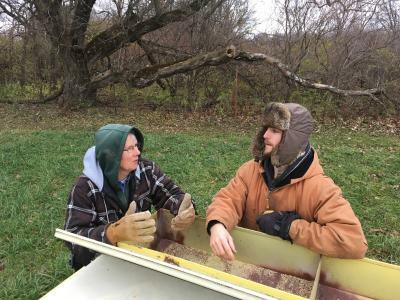 He was happy to lend a hand and took time to chat with our field team while they worked. 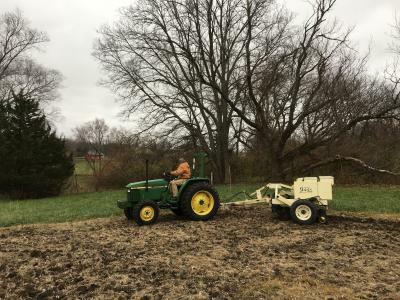 Bill's farm, pictured here, is just one example of the research sites that were planted in recent weeks. By seeking underutilized lands that do no conflict with agricultural production, our team will be able to return to these habitat sites in the summer and fall to monitor changes in vegetation and monarch utilization. 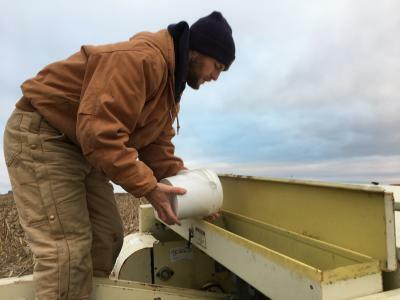 Other examples include monarch habitat planted near a hog confinement building in Dallas County and several plantings at the statewide Iowa State University research and demonstration farms, including the Armstrong Farm located near Lewis, Iowa.